That’s one of the most common expressions from clients who meet Susie Aga. Susie is the founder of Atlanta Dog Trainer. 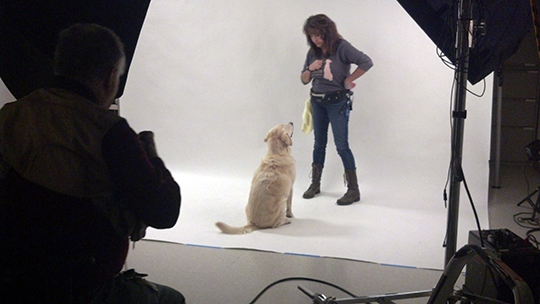 Her passion for dogs stems from her mission to want to teach people how to communicate with them. After 20 years of working with canines, Susie has refined the science of behavior modification by adding her own unique techniques. She has provided learning strategies for numerous families, countless foster families, rescues, non-profits, and government agencies that work with canines. Susie understands that if you wish to keep the communication lines open with dogs, you must always be sharp in this ever changing science. What makes Susie Aga stand out above the pack is she is on top of the latest findings and methods of dog behavior modification. Although she humbly considers herself always a student continuously learning and seeking new alternative approaches in this field. Other world leaders in this field consider her a master in the industry. Her unique approach takes into consideration the whole dog and the whole family, as well as all other environmental factors including the breed history. Understanding the fundamental nature of each breed is key to her ability to assess what is natural for some breeds and unnatural for others. Her studies and work with a variety of wolf sanctuaries’ reinforces her understanding of the psychology of canine behavior. At home Susie Aga leads the pack with her babies Isabella, Hezekiah, Tooyey and Jeremiah. Teaches students how to be companion dog instructors. Training instructors and clients how to train humans with special needs and or impairments as well as dogs with special needs and or physical impairments. Susie Aga specializes in all breed specific behaviors or mixes of the breeds when in manifests in problem behaviors plus how to manage the characteristics before problems arise. She personally works with herding and working dog specific breed behavioral modification solutions. She has been a rescue dog person and she has rescued over 25 personal dogs with severe behavioral imprinting behaviors and specializes in solutions and being a positive rehabilitator. Susie Aga has a vast knowledge in-hands on building a very successful business for over 15 years gives her excellent ability to teach how to be a successful businessperson and excellent canine instructor. She teaches an efficient program for kennel management, daycare management, and how to manage and grow a successful business from the ground up. Susie is the director of training for all the staff and trainers for Atlanta Dog Trainer and Pet Resort as well as for Academy for Professional Dog Trainers.